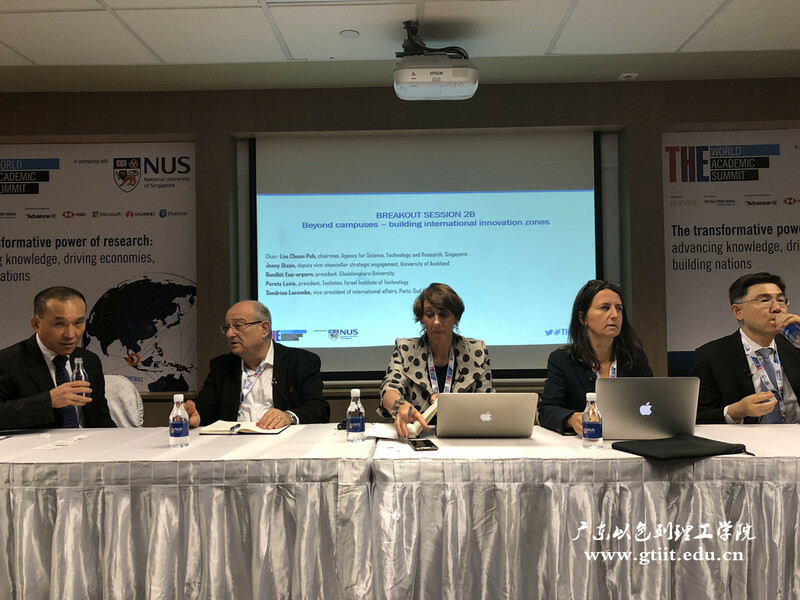 The Times Higher Education World Academic Summit 2018 was held at the National University of Singapore today. 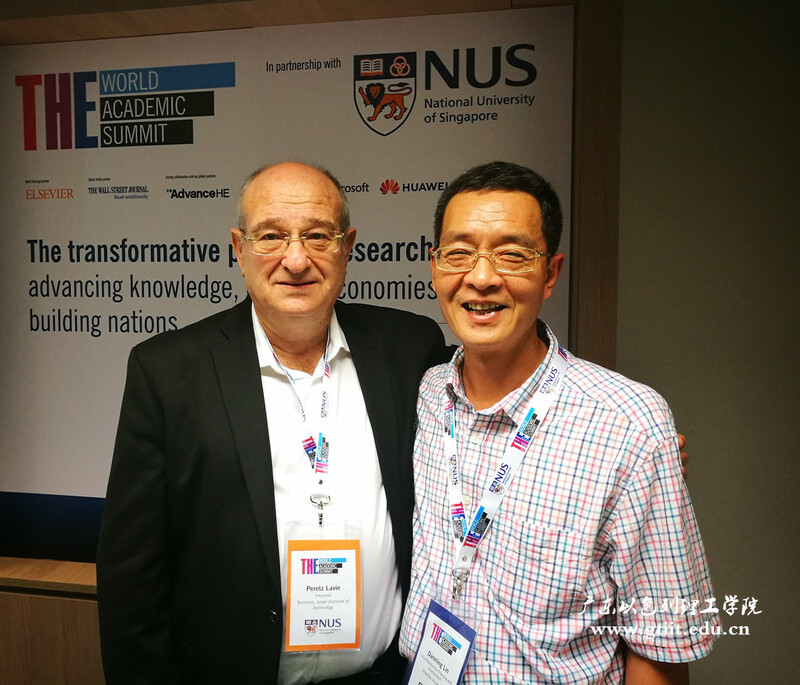 Peretz Lavie, President of Technion was invited to deliver a keynote speech in "Beyond campuses – building international innovation zones" session. Taking GTIIT as an example, he further introduced the spirit of "Chutzpah", so that guests all over the world can have a better understanding of the institute. Prof. LIN Danming, Pro-Vice Chancellor of GTIIT also attended the summit. Significant topics were discussed during the summit, including: what are the factors contributing to the success of innovation zones, what are the roles that universities, industries, investors and government agencies should play to encourage success. As a senior expert in innovative entrepreneurship, President Lavie shared about the establishment, development and achievement of GTIIT. 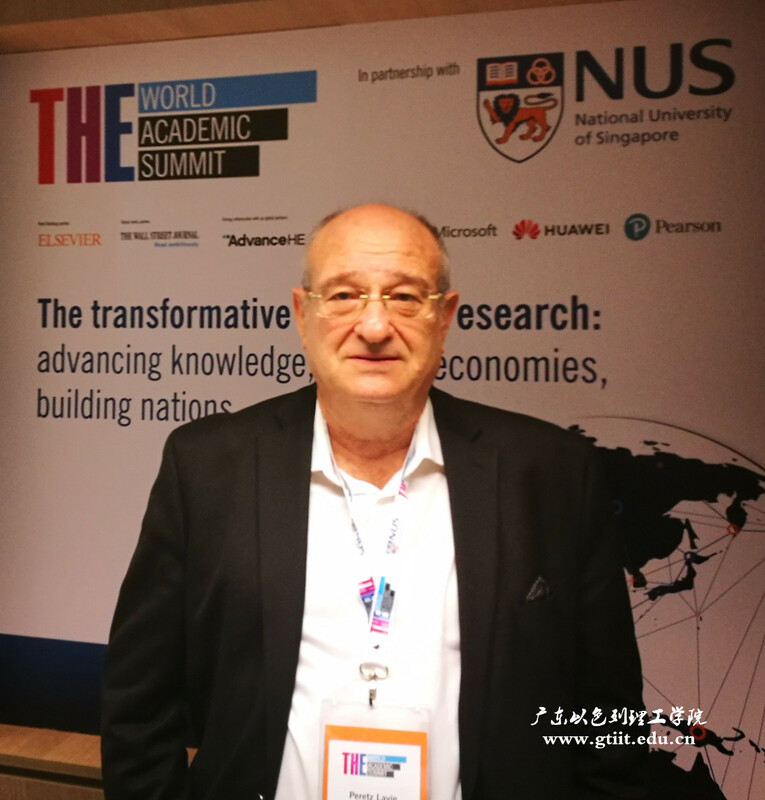 "So far we are doing better than ever", he said, "Outside of the institute, I will not dare to do it without our partnerships, Shantou University, Guangdong Government and LKSF". "Inside the university, there is no government involvement, however, what you need is the mentality of the students". Taking Korean and Japanese students as examples, he further explained that it is a common problem that not dare to ask questions. It's a very deep culture difference. In Israel, people like to "Chutzpah" , which means we need the type of character that is ready to take risk, ready to sustain failure, and have the need of achievement. The issue of expressing yourself in public, the issue of sustaining failure, the issue of dare to do something which is not conform to the routine, is the part of innovation. This can also further explain why Technion can be a top university because of innovation. "To think out of the box. Sometimes you have to instill the spirit of entrepreneurship in students who are not having it. This is the comprehensive education. But we see changes in Chinese students. It starts", President Lavie said. He also talked about how the successful type of studio classes for engineers with humanities and ethical in the campus of New York was immediately copied in Haifa. "Now we got continuation. It is different in China, but I have confidence in the future development of both Technion New York campus and GTIIT." Nowadays, the outstanding academic performance of Chinese universities has attracted worldwide attention while education globalization, innovation factors, curiosity cultivation have become the focus of world-class universities development. President Lavie's speech was warmly received by his counterparts, which greatly enhanced the international popularity of GTIIT.